Presentation: Each 2ml multidose vial contains 2 mg/vial. 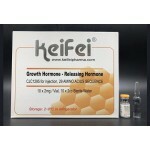 Orange colour cap with KeiFei wording stam.. Presentation: Each 2ml multidoses vial contains 2mg/vial. Purpule colour cap with Keifei wording sta.. Presentation: Each 2ml multidose vial contains 5 mg/via. 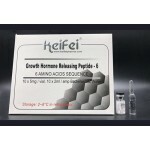 Black colour cap with KeiFei wording stamp ..
hemcial name: Human Chorionic GonadotrophinPresentation: Each 2ml Multidoses vial contains 5000iu/vi.. 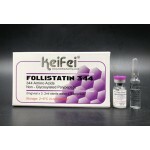 Presentation: Each 2ml multidose vial contains 3vials*0.1 mg/vial. Pink colour cap with KeiFei wordi.. Presentation: Each 2ml multidose vial contains 14 iu/vial. 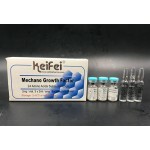 Red colour cap with KeiFei wording stamp ..
Mechano growth factor (MGF) Presentation: Each 2ml multidoses vial contains..